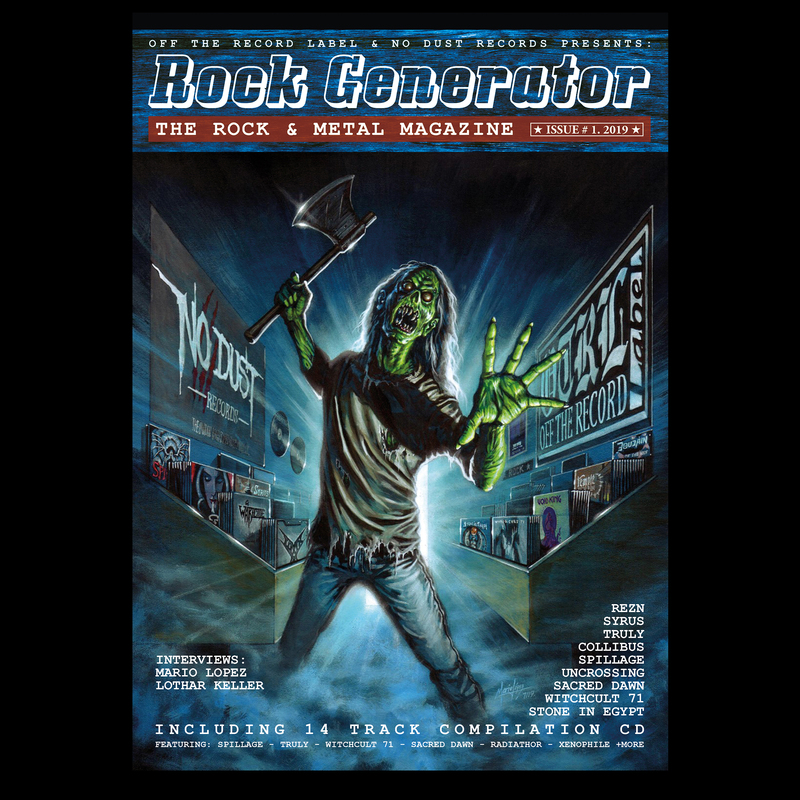 First issue of the Rock Generator Magazine. Professional full color promotional magazine (20 pages) including articles and interviews, presented by No Dust Records in collaboration with Off The Records Label. Articles by Toxik, Truly, August Life, Lothar Keller (The Skull), Mario Lopez, Rezn and many more. Includes a 78 minutes compilation cd with many brand new and unreleased material like Xenophile (track not on album) Syrus (brand new and not coming on next album!) Sacred Dawn (new upcoming single) Truly (brand new track from upcoming EP) Radiathor (brand new track not on album!) and many more!! Free with every order, or if you only want to order the magazine only, you pay shipping costs only.